Now any commercial site can be revegetated quickly and sustainably – no matter how depleted or erosion prone. 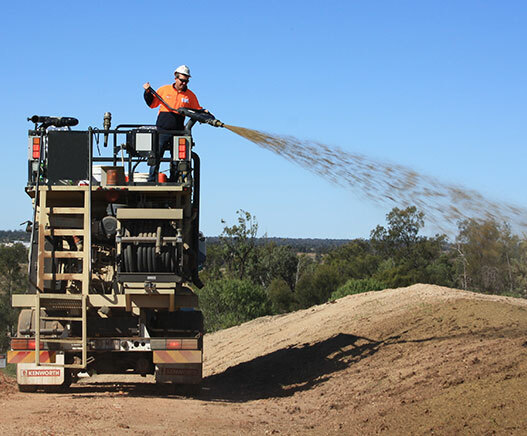 The EnviroStraw range of revegetation solutions and our erosion-control product, GeoSpray, were developed by Australia’s leading soil scientists over 12+ years. Our products are proven to revive soil and establish native vegetation with increased carbon levels. They contain built-in nutrients for sustainable growth and work faster (with less water) than standard hydromulch. Our chemical-free revegetation products are Australian-owned and manufactured. They have been carefully developed to accommodate all land sloping variants. Soil scientists and microbiologists have discovered that a community of bacteria, fungi and other microbes exists in symbiosis with the root hairs of plants. Our hero hydromulch EnviroMatrix ECM initiates the development of healthy soil through a combination of the essential elements that make up robust topsoil. EnviroMatrix ECM conditions the soil via a delicate blend of essential fungi, bacteria and natural minerals.  This helps rebuild topsoil and soil health by mimicking the natural Soil Food Web.